All-natural freshness to neutralise body odour. The fresh fruity fragrance revitalises and enlivens the senses - an ideal start to the day! You want to work with your body, not against it, so spritz on essential citrus oils and feel good about freshness, naturally. 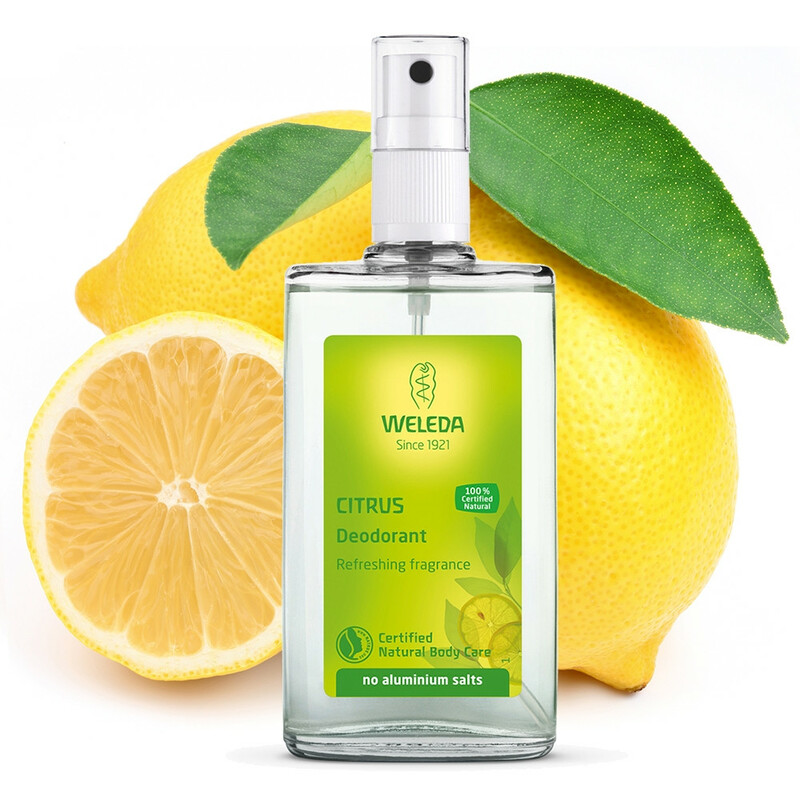 Weleda Citrus Deodorant distils natural freshness, with the zing of lemon and orange essential oils to neutralise body odours. Pores stay unclogged and skin can breathe, so there’s no long-term itch or irritation. In a recyclable glass bottle, with a non-aerosol pump spray, no aluminium and all natural ingredients, that adds up to the best for your body and the earth. Think lemon, think fresh – it’s a naturally good feeling. Tip: Can be used on the feet to refresh and revitalise - especially in the summer months. **new ingredient added derived from natural renewable vegetable sources.